For an issue like racism in sports, you might not think that kids have much to contribute. But, this past Monday, hundreds of children showed otherwise when they took part in a unique football tournament. They showed that the younger generation has a lot to teach the rest of society. As part of the FARE (Football Against Racism in Europe) Network, the New Israel Fund’s Kick It Out Israel program ran a Jewish-Arab coexistence soccer tournament this past Monday at the stadium in Taibe, an Arab city in central Israel. The tournament included teams of Jewish and Arab boys and girls from Taibe, Kfar Saba, Kfar Yona, Pardesiya, Qalansawa, and Netanya. It ended with a medal ceremony for all the teams that participated. The tournament was organised in conjunction with the Israel Football Association and the Israel Football Players’ Association. Both the Mayor of Taibe, Adv. Shuaa Masarwa Mansour, and the incoming President of the New Israel Fund, Professor David N. Myers, took part in the event. 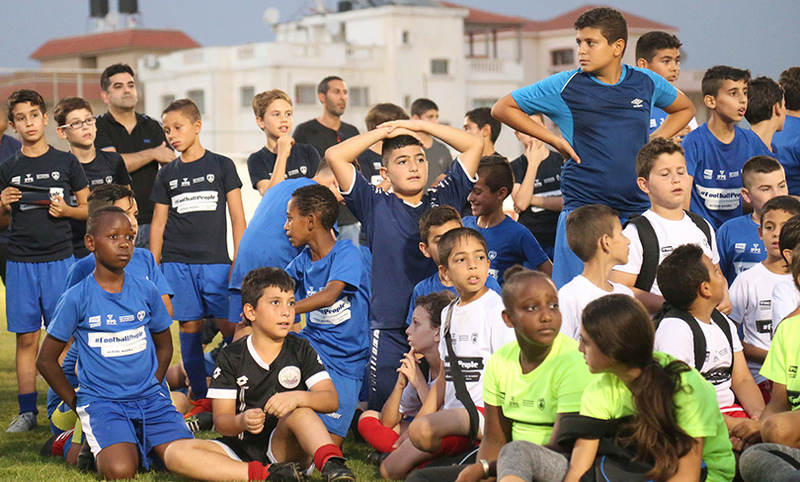 NIF’s Kick It Out Israel promotes coexistence through football in Israel and seeks to rid the sport of the lingering racism seen in some of its teams and among some fans. It monitors racist incidents at professional football matches and runs educational activities and advocacy campaigns to encourage the values of shared society, equality, tolerance, and mutual respect. Shachar, from the mixed Jewish-Arab Kfar Saba team, said, “This tournament is important because you always need to accept the ‘other’ and, through events like this, we can reduce racism in soccer.” Kinan, from the local Taibe team, said it was his first time playing against Jewish teams. At the medal ceremony, the winners of both girls and boys tournaments — the Taibe girls team and Kfar Yona boys team — were awarded gold medals.